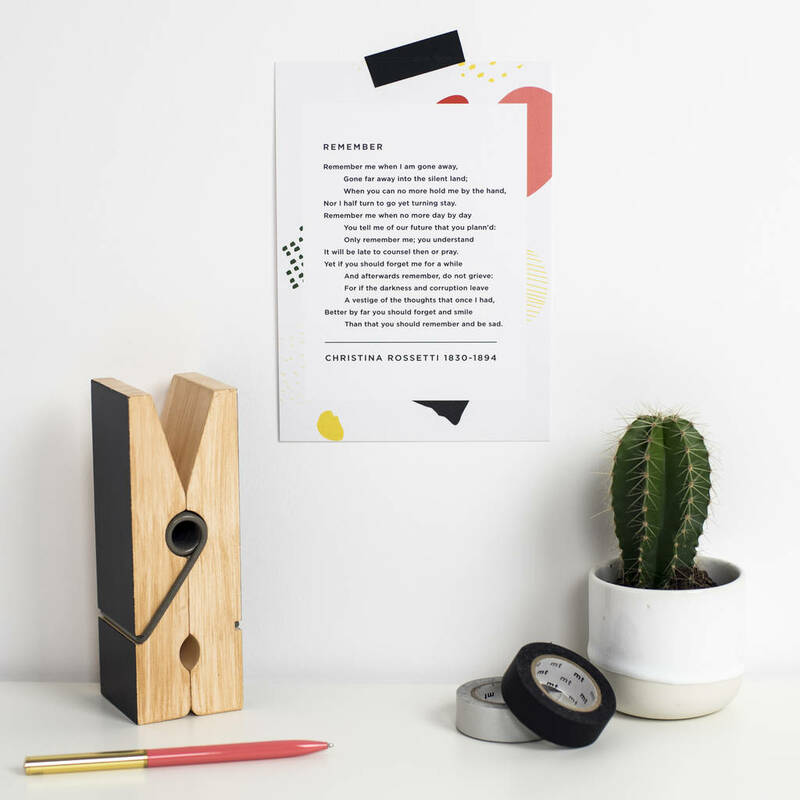 A classic poetry subscription box of The first month comes with a wooden stand and an introductory postcard, as well as the three poems. 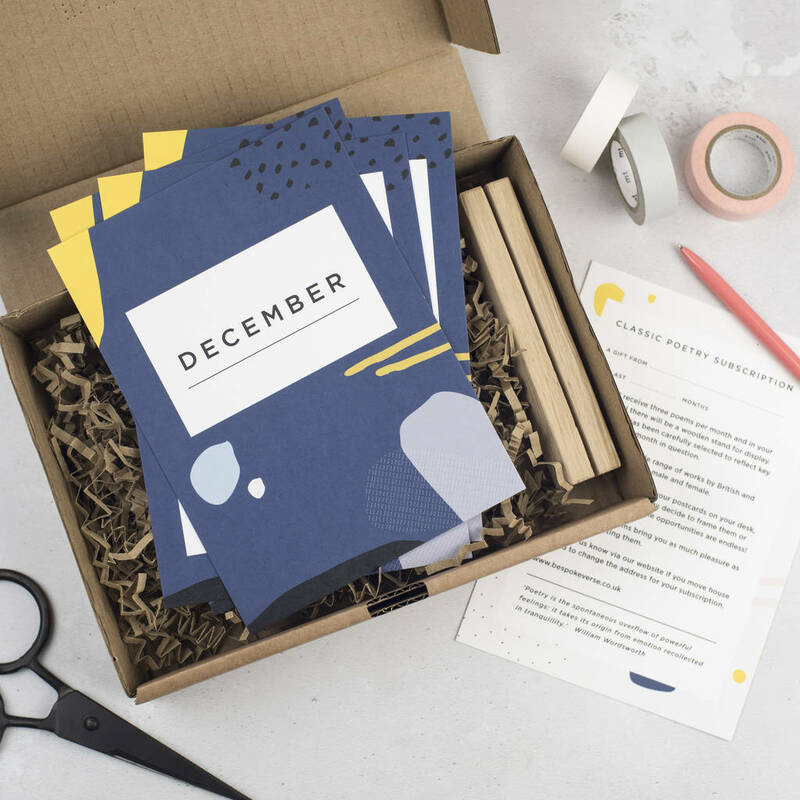 The perfect Christmas gift subscription box for book lovers, poetry lovers, literature lovers, readers, teachers and people who will relish a monthly subscription treat of poetry. 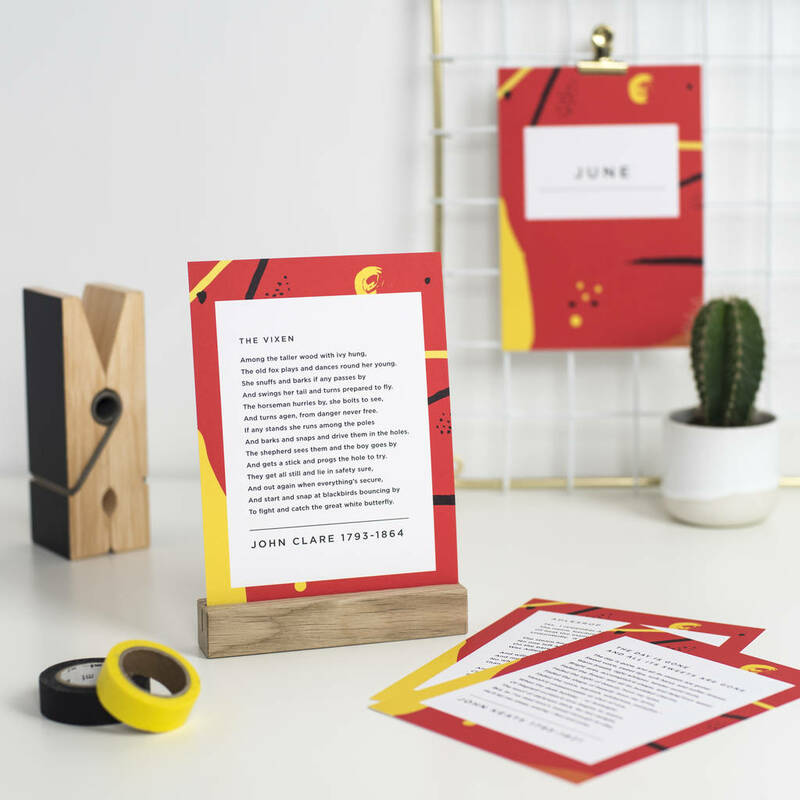 3 classic poem postcards per month plus a wooden stand in the first month for display. The poets featured include: W B Yeats, Keats, Donne, Rossetti, Bronte, Shakespeare, Hardy, Owen, Blake, Hopkins, Clare, Eliot, Shelley, Coleridge and Tennyson. The selection includes work by a number of female poets and although most are British, there are some American poets featured too. 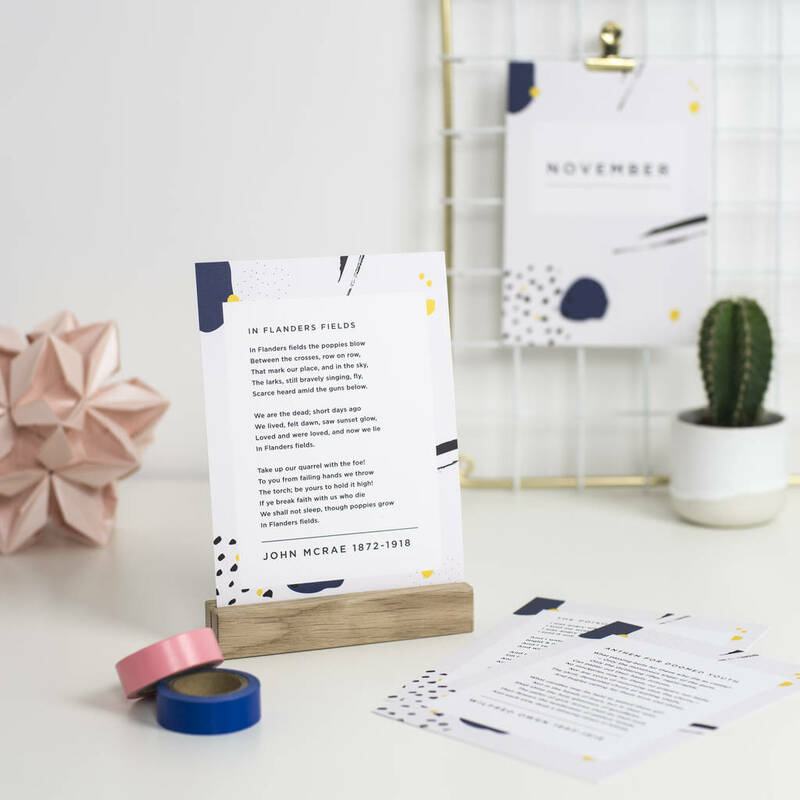 The poems selected tie in with the month in question, for example, there are two war poems in the November subscription box. The poetry subscription box is available for a period of 3-12 months. It can begin at any time of the year. 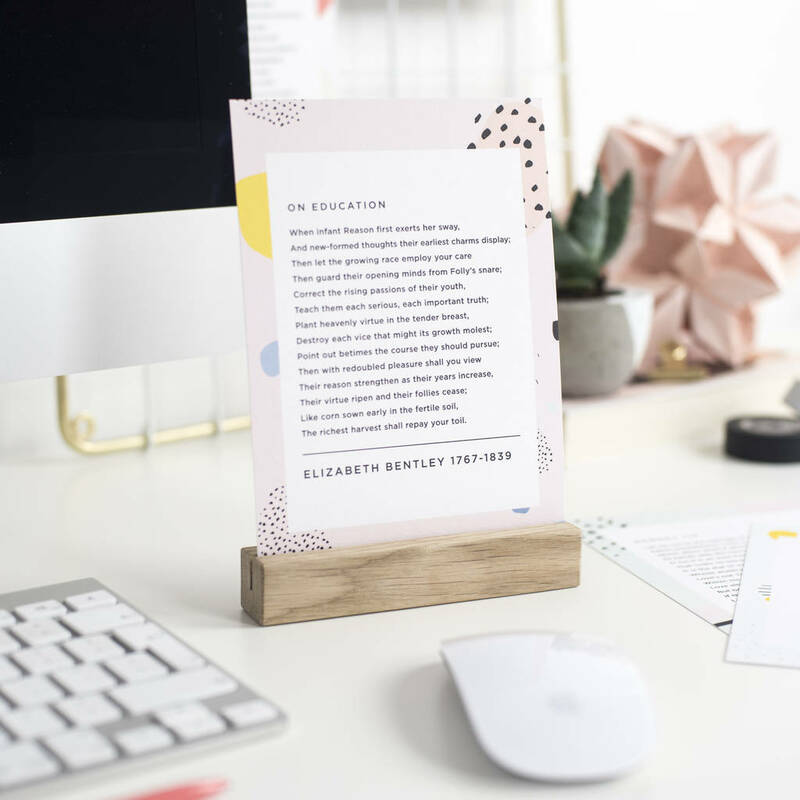 The first month comes with a wooden stand and an introductory postcard, as well as the three poems. 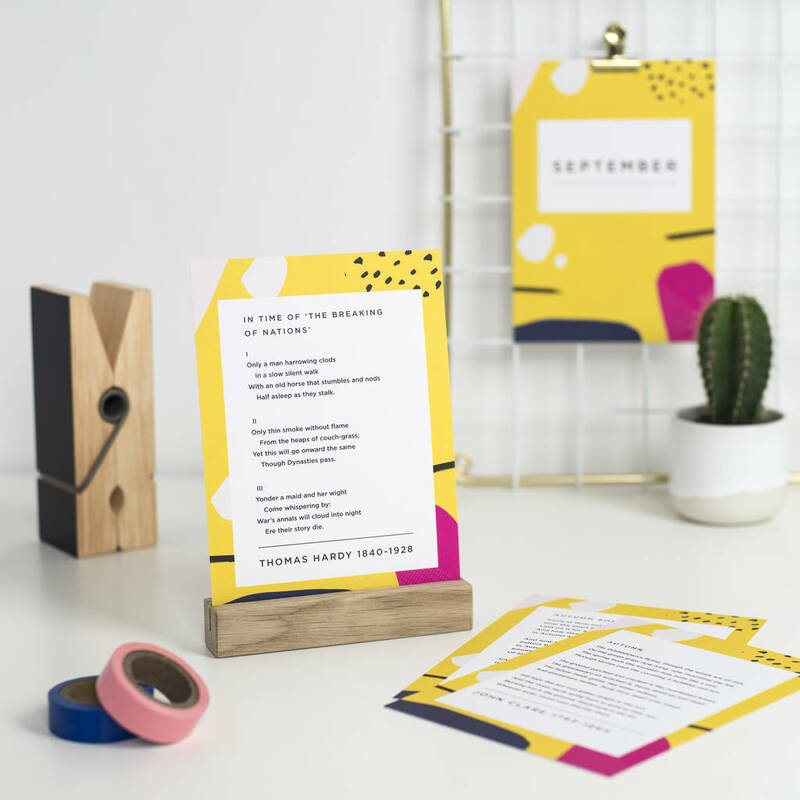 Each month has its own colour scheme and the poems come with a cover page stating the month. (Wooden stand included in first month only.) The poem postcards are 5 x 7 inches and are blank on the reverse. The first box is larger (because of the wooden stand) and will not post through a letterbox, but subsequent months will. 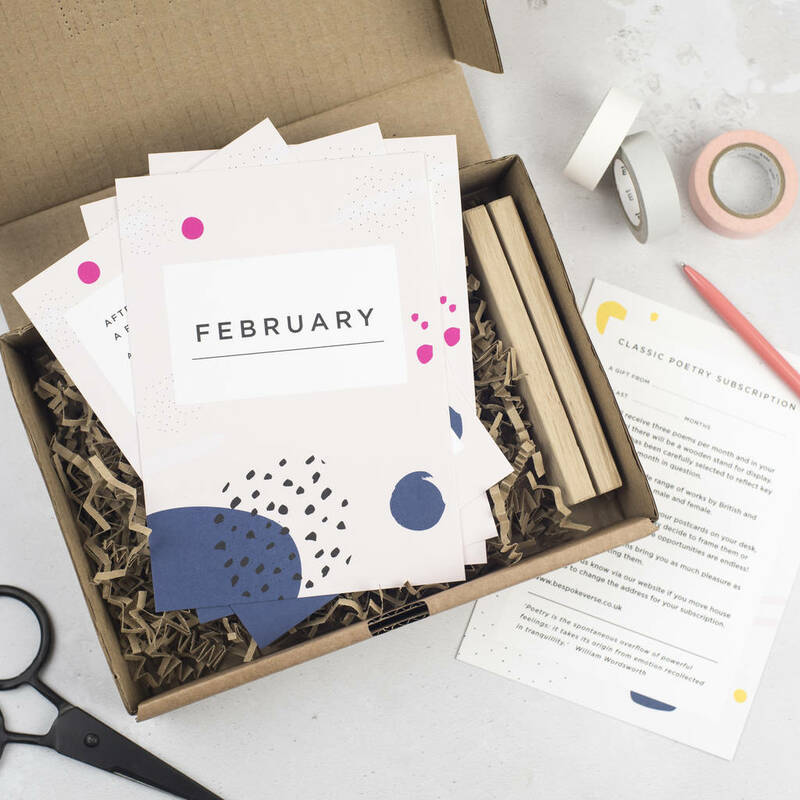 You can have the subscription box sent straight to the recipient, or if you prefer you can have the first one sent to you so that you can give it as a gift. There is an option box for you to request this. 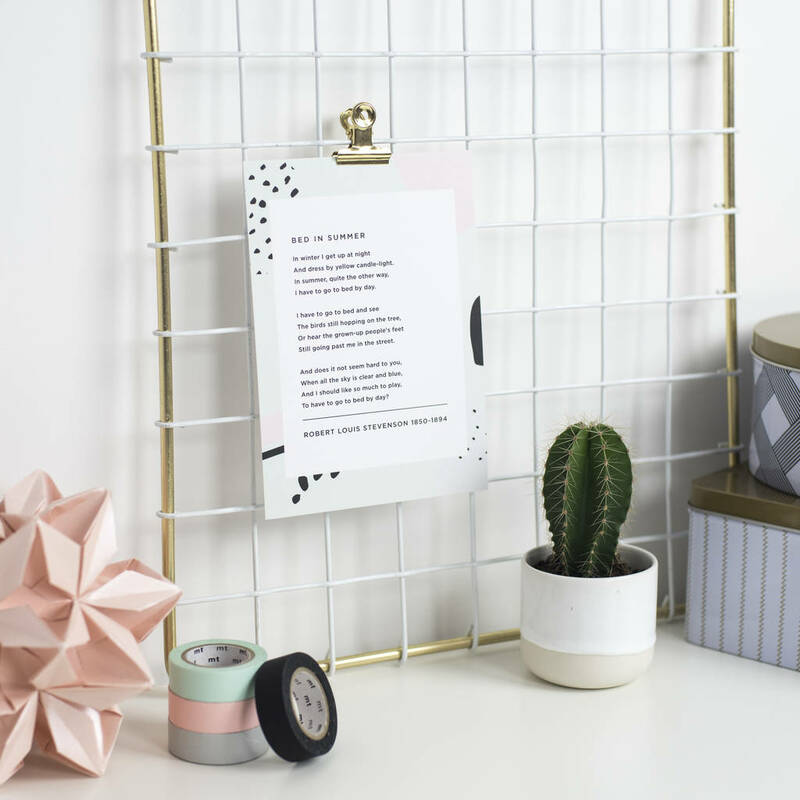 If we send the first month to you please make sure that you notonthehighstreet account shows the correct address for you as that is what we will use. 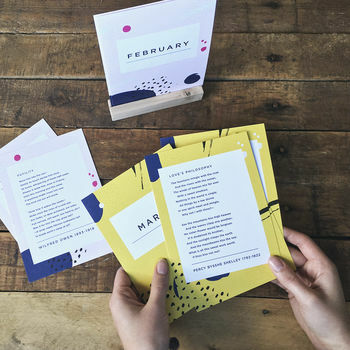 The option boxes will guide you through entering the name and address for the recipient of the poetry subscription box. We will ask you when you want the subscription box to start in case you don't want it to start yet (eg until after Christmas). 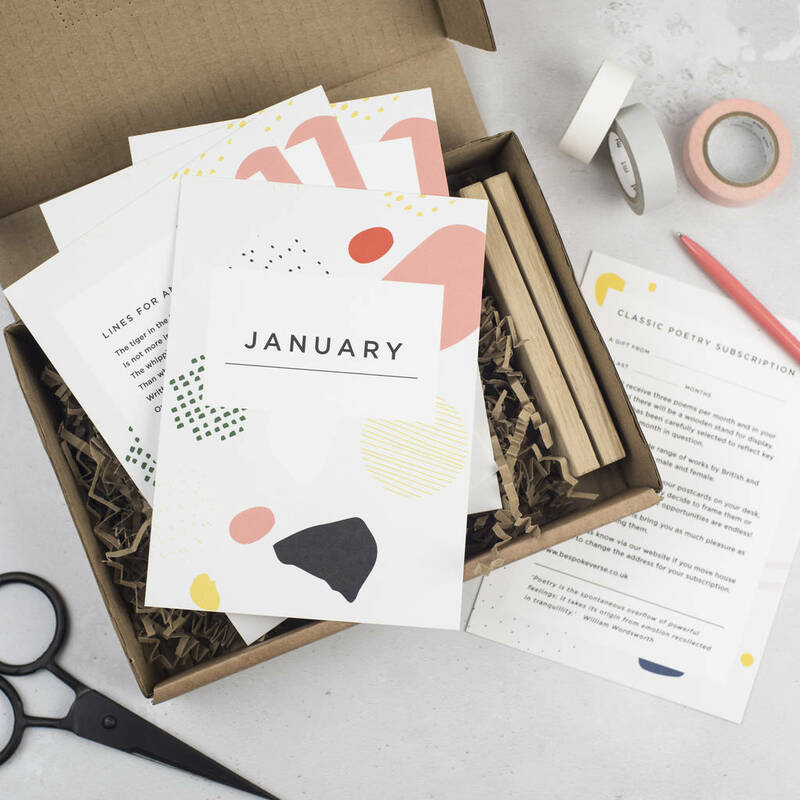 If the subscription box is a Christmas gift you may want to receive the first package yourself to hand over on Christmas Day, or you may prefer the first package to go straight to the recipient in early January. Let us know the option box. Inside the first box is a postcard saying who the gift is from, how long it lasts and how the recipient can change their address if they move. So you can send the first month as a complete surprise if you wish! Wooden stand, handmade in the UK. 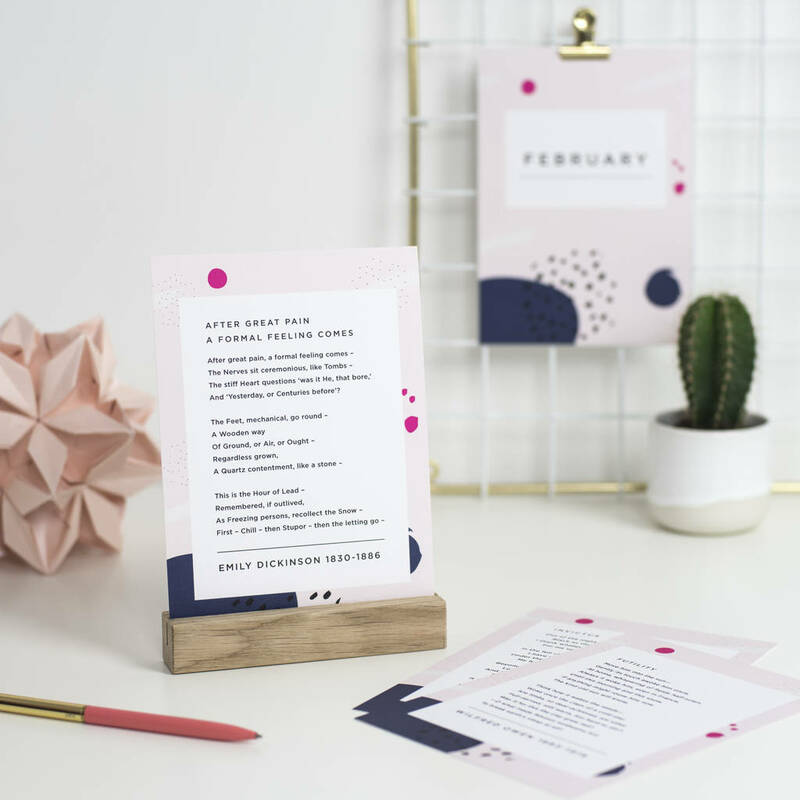 330gsm card, designed and printed in the UK. Delivery of poetry subscription box is by Royal Mail First Class. Delivery within the UK is FREE. 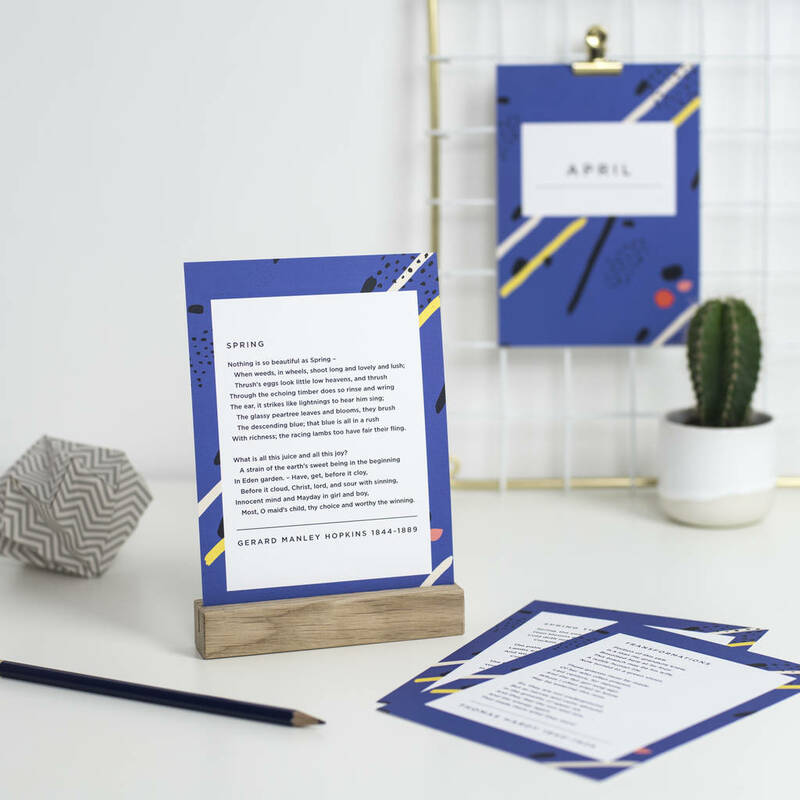 If you require international delivery, we can arrange to send you all the months in one box as a one off, but we do not send monthly overseas. Please contact us to arrange this.